Just Scratching the Surface. 2014. 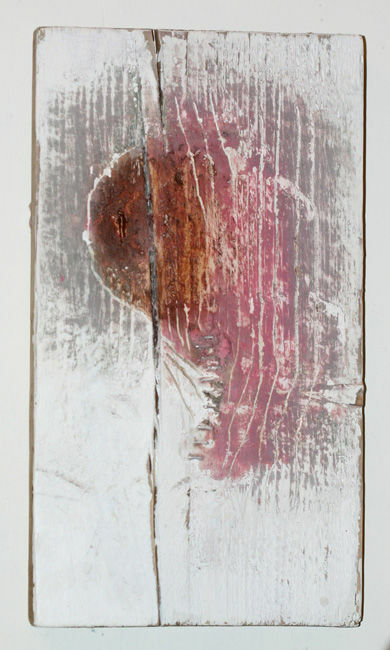 Oil pastel, ink, wax, industrial staples, on found board.